Enlarge / About 50 percent of total Switch playtime comes from docked, TV-connected play, Nintendo says. 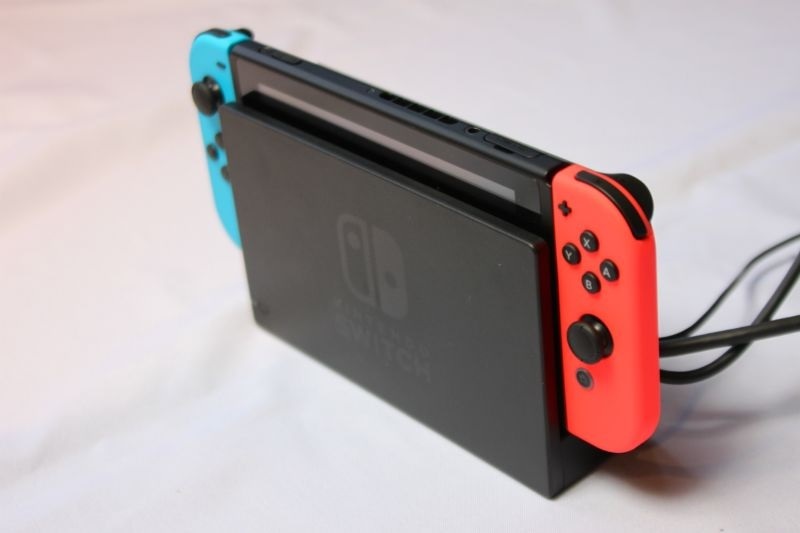 Since the Switch was first unveiled in late 2016, it’s been pitched as a “best of both worlds” way to enjoy portable and TV-connected gaming in a single console unit. Nintendo now tells Ars Technica that users are taking advantage of both of those play modes in roughly equal measure. In a recent interview with Ars, Nintendo Senior Vice President for Sales and Marketing Doug Bowser (yes, really) said the play time split between docked and undocked play on the Switch is “about even—about 50 percent in the dock and 50 percent away from the dock.” The latter time chunk includes both tabletop play and fully handheld play; Bowser said the company doesn’t currently monitor which “undocked” mode a player is using at any given time. While overall play time for docked and undocked play is relatively balanced, the usage rates can vary by individual game, Bowser said. Titles like Just Dance are played mostly in docked mode, while games like Mario Kart 8 Deluxe and The Legend of Zelda: Breath of the Wild are more equally balanced. The timing split can also vary by individual user, of course. Back in October, Nintendo shared an investor presentation showing roughly 30 percent of early Switch owners “primarily” used their systems undocked (meaning 80 percent or more of the time). Less than 20 percent of owners had a similar “primary” bias toward docked mode. Nintendo found the remaining majority of Switch owners were “playing in both modes” at the time. The Nintendo data discussed above applies only to players who have online Nintendo accounts, so the numbers could be skewed by ignorance of completely offline players. That said, Bowser added that being able to track the gameplay mode many Switch players are using on any given game is invaluable to Nintendo’s understanding of its market.